Happy eve of New Years Eve! New Years Eve is one of my favorite holidays, not only because I love celebrating the end of a great year or because I love imagining what the future will hold for the new one; but because I love to dress up for it! You can never be too glam, glitzy, or have enough sequins, gold, glitter or sparkle! The sky is the limit when wardrobing yourself for the new year! This year for NYE, I knew I wanted to sport some sort of jumpsuit. When I found this sheer halter one, I was sold. I love the ice blue color, the wide leg, and the cute ruffle detailing that sits at the high neckline. And how much more glam can I get while wearing this beautiful black and white fur coat!? It is the perfect statement piece to ring the new year in. I also chose to wear one of my favorite pair of heels, which I've featured on the blog more than once. They pair with anything and the crackled gold is perfect for my night on the town! Make Me Chic is a website that offers so many affordable fashion pieces! I am always surprised by what I find there and how amazing the price is. 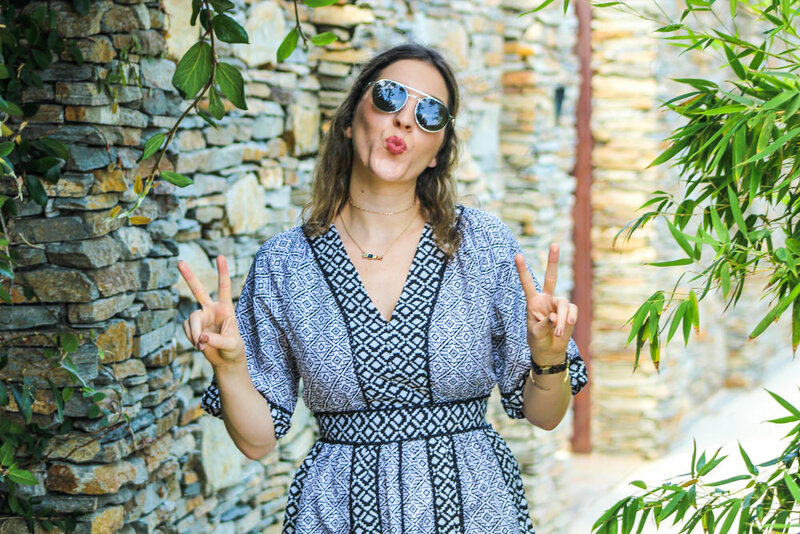 This jumpsuit was under $20, but who can tell? I am constantly buying on trend pieces, (which they have an endless amount of), from their website and they end up being some of my favorite closet items and I always have people asking me where I got them. That is a great buy in my book! Whether in need of pieces for New Years Eve, or just new items to add to your wardrobe for the new year, Make Me Chic, is where it is at! You simply have to check out their website and I can almost guarantee you will not walk away empty handed. See you guys next year! Have a happy, safe, and wonderful New Year! Thank you for the continued support!